Lindsey began playing the flute in the 5th grade, and at that time, her school provided her with a traditional student flute with closed hole keys. She told us that, unfortunately, it didn't make playing the flute very easy, sharing, "I'm surprised I even chose to stick with the flute!" But, luckily, she did, and she found a private teacher who encouraged her to get a step-up flute. She went to the local music store and picked up an intermediate model of a popular student brand. This flute, however, had a sterling silver headjoint and body. She recalled more of the specs -- "silver-plated open-hole keys, split-E, offset G, and a B foot." Another feature of the flute that caught her eye was the gold-plated, engraved lip plate. Although this was an intermediate flute, it got her into college and made it possible for her to play very advanced repertoire. After her freshman year of college, Lindsey knew it was time for a professional, handmade flute. She traveled to the Powell shop in Maynard, Massachusetts, and once she picked up a handmade Powell Custom, she noticed a huge difference. She said the Powell made it "apparent just how hard I had been working with my other flute to get it to work for me," and it was definitely time for a professional flute. Lindsey told us that when she initially visited the Powell shop, she was able to take a .018' heavy wall silver Powell Custom out on trial. She knew it was the right flute for her, commenting that it "had the right amount of mass and felt like a real instrument in my hands." 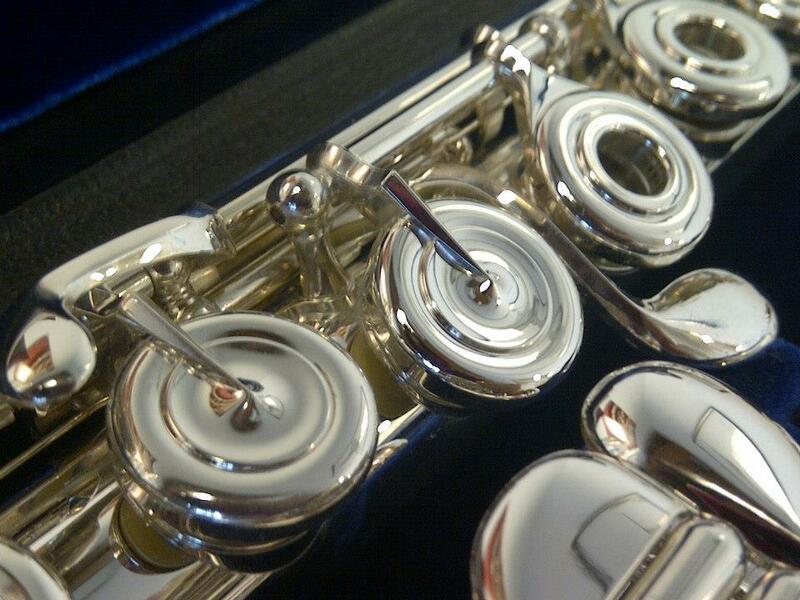 She had tried .014' silver flutes from other flute makers and felt that they were simply too thin. Lindsey felt that the silver was perfect for her -- it had a big sound that was also a bit darker. It was never shrill or bright but also not too dark. She told us that she fell in love with a silver Boston cut Powell headjoint with a 14k riser, noting that this riser gave the flute an added darkness that made it perfect. Although she selected that headjoint right away on her first visit to the shop, she told us that she "came back many times to see if there was anything else, but that was always the one." After much time with the demo and several trips to the shop, Lindsey ordered a brand new .018' silver Powell Custom. She was able to pair it with the Boston headjoint that she loved, and she was also able to get one additional special customization. Lindsey told us that she had trouble reaching the D# key, so she asked if Powell could make that one key just a bit bigger so that she would be able to reach it comfortably. She said that Powell agreed and that it was no problem at all. So, Lindsey was set with a truly customized flute suited perfectly to her! During the process of selecting a flute at Powell, Lindsey worked with Christina Cobas, who is now Powell's Marketing Director. 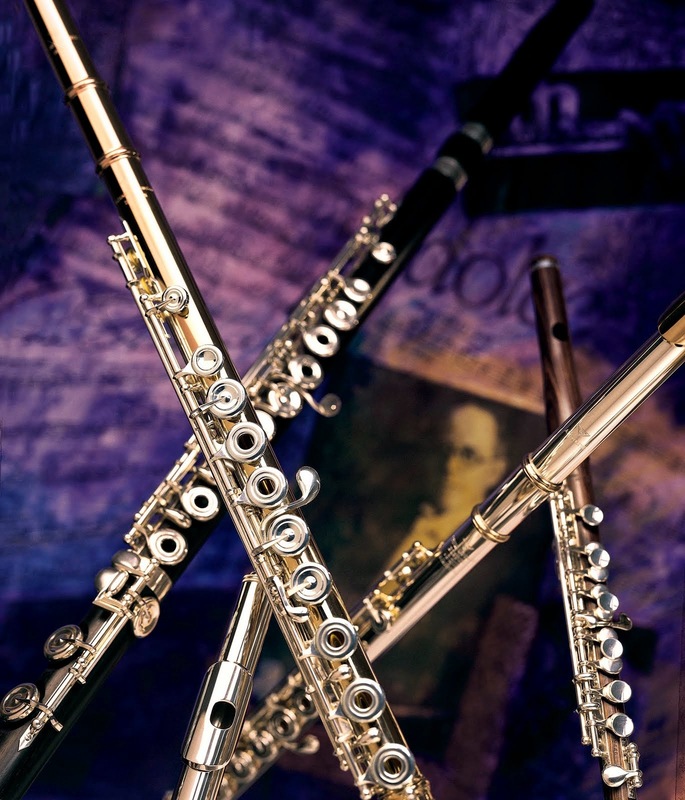 You may recall seeing Christina's name in a previous post we did about her own "history of flutes," which you can read by following this link to the post, titled "Christina's Flutes." Lindsey said, "I really enjoyed working with Christina, and I thought the customer service at Powell was terrific. It really made a difference." We're so glad that Lindsey found her perfect flute at Powell and even happier that she came to work for Powell -- making flutes that will be "the one" for many more flutists!